Quando as crianças ouvem música, elas não ouvem apenas. Elas se fundem na melodia e fluem com o ritmo. 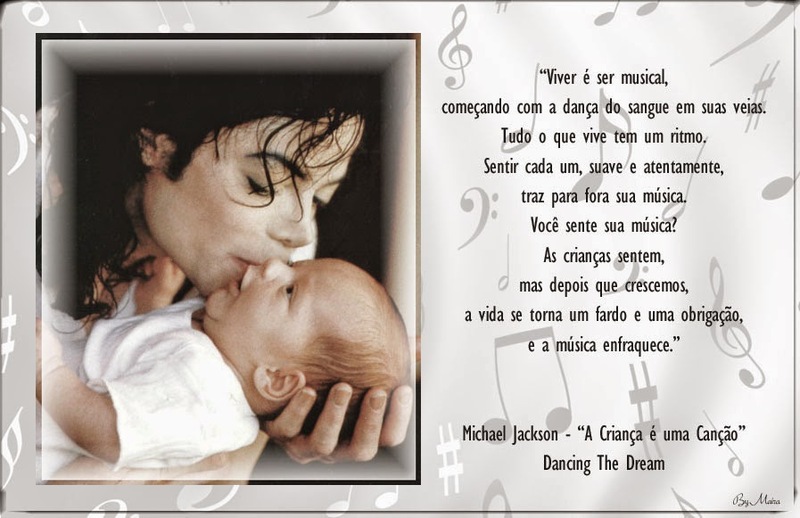 Algo por dentro começa a abrir suas asas – logo a criança e a música são uma. 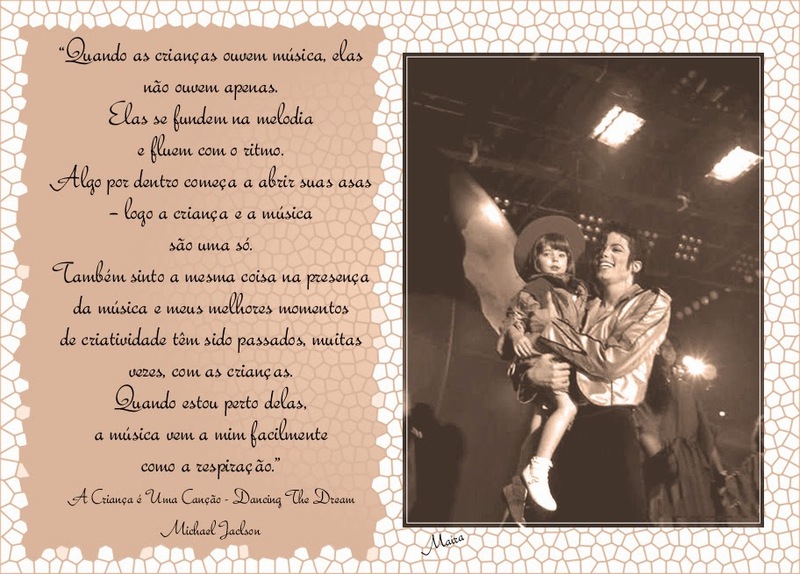 Sinto-me assim, também, na presença da música e meus melhores momentos de criatividade têm sido passados, muitas vezes, com as crianças. a música vem a mim facilmente como a respiração. Cada canção é uma criança à qual alimento e dou meu amor. Mas mesmo se você nunca escreveu uma canção, a sua vida é uma canção. que brincam de esconde-esconde com o sol. Viver é ser musical, começando com a dança do sangue em suas veias. Tudo o que vive tem um ritmo. Sentir cada um, suave e atentamente, traz para fora sua música. Sem o ritmo sábio do coração, não poderíamos existir. Quando começo a me sentir um pouco cansado e sobrecarregado, as crianças me revivem. Dirijo-me a elas para uma nova vida, para nova música. Estou de volta a mim mesmo, mais uma vez. 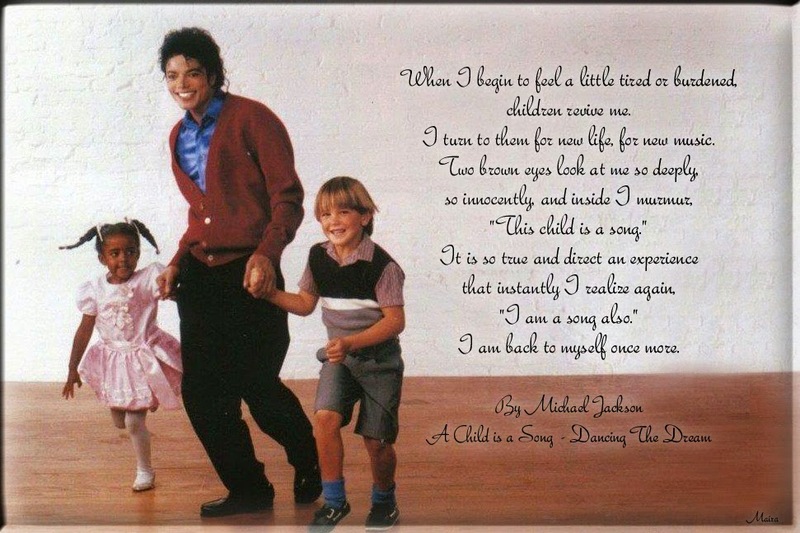 When children listen to music, they don’t just listen. They melt into the melody and flow with the rhythm. 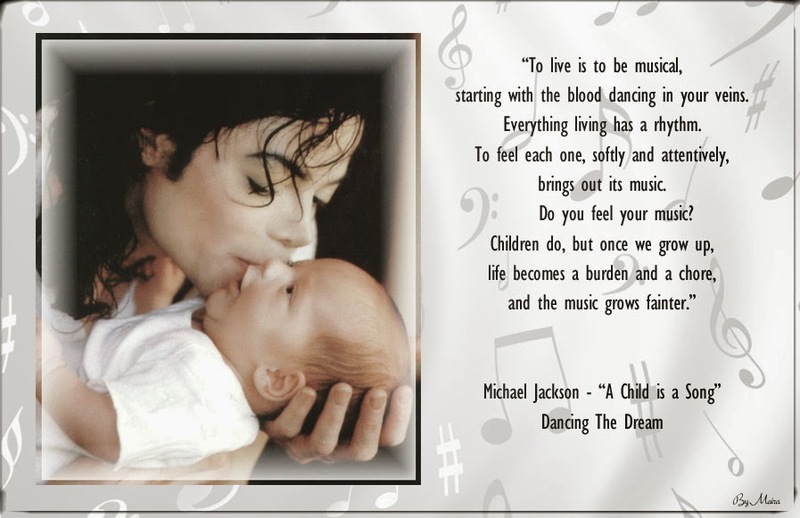 Something inside starts to unfold its wings—soon the child and the music are one. 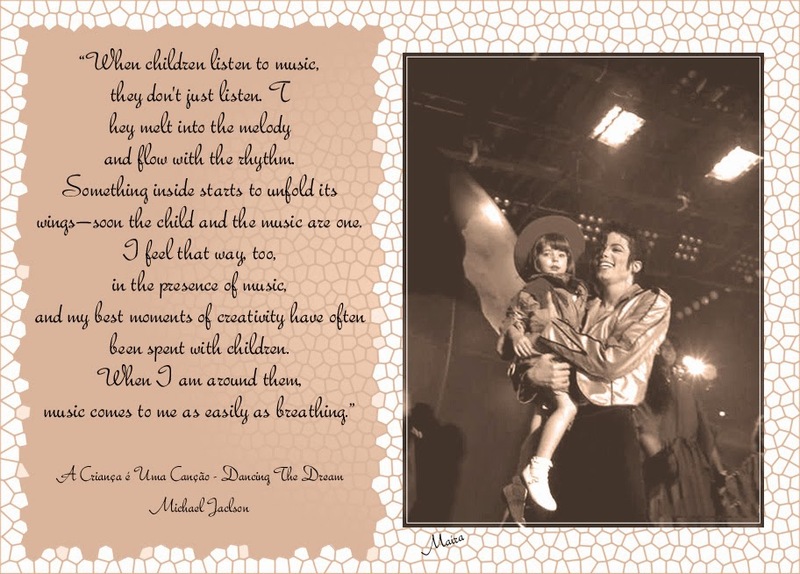 I feel that way, too, in the presence of music, and my best moments of creativity have often been spent with children. When I am around them, music comes to me as easily as breathing. 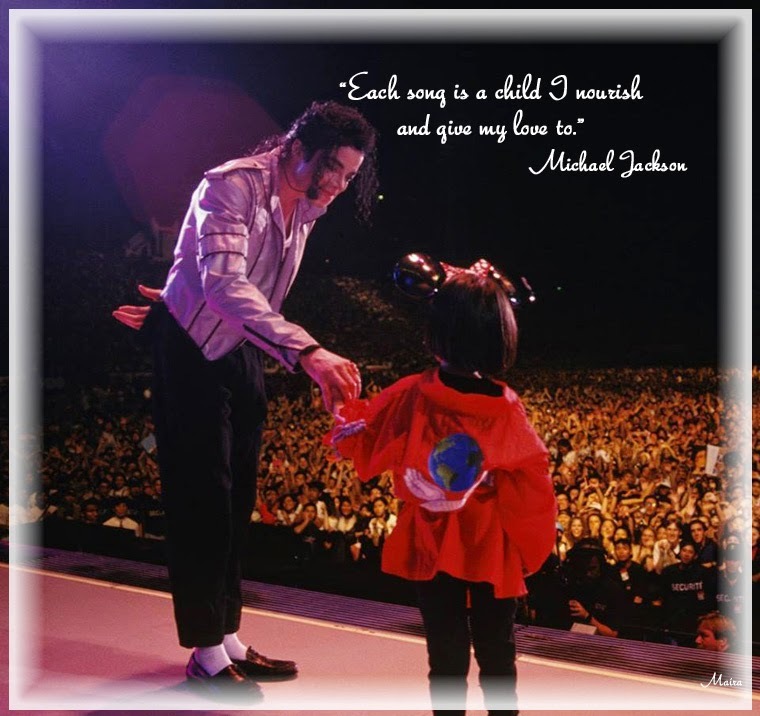 Each song is a child I nourish and give my love to. But even if you have never written a song, your life is a song. How can it not be? 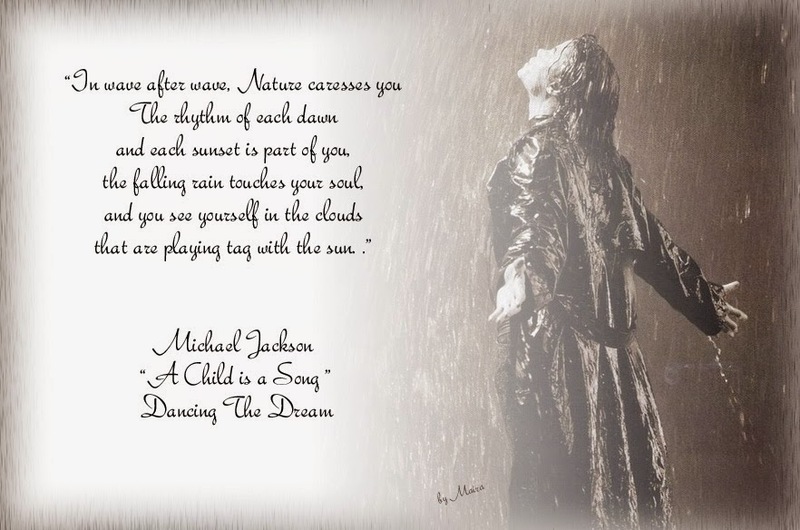 In wave after wave, Nature caresses you—the rhythm of each dawn and each sunset is part of you, the falling rain touches your soul, and you see yourself in the clouds that are playing tag with the sun. To live is to be musical, starting with the blood dancing in your veins. Everything living has a rhythm. 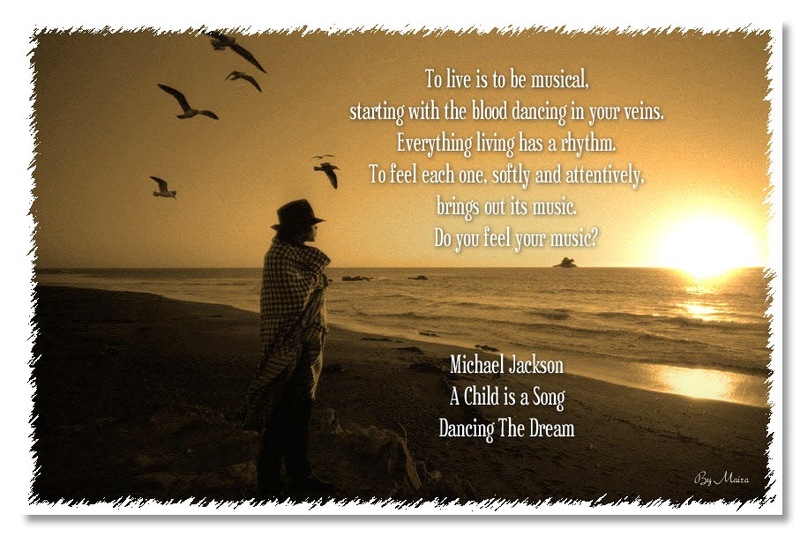 To feel each one, softly and attentively, brings out its music. 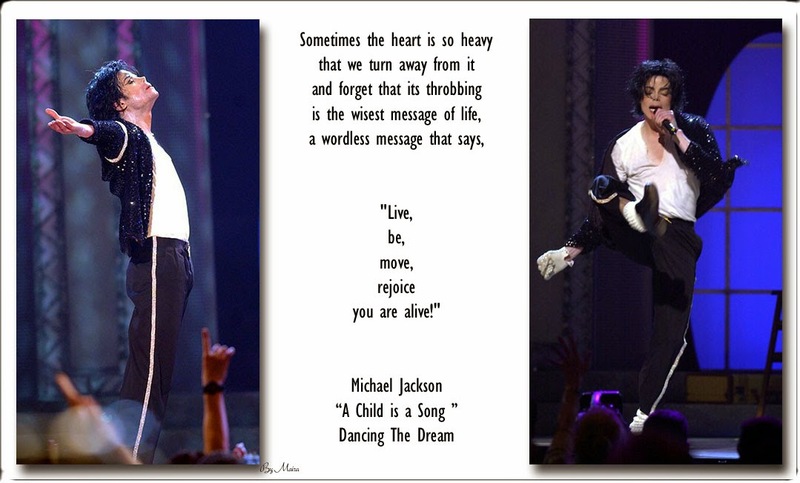 Children do, but once we grow up, life becomes a burden and a chore, and the music grows fainter. Sometimes the heart is so heavy that we turn away from it and forget that its throbbing is the wisest message of life, a wordless message that says, “Live, be, move, rejoice—you are alive!” Without the heart’s wise rhythm, we could not exist. When I begin to feel a little tired or burdened, children revive me. I turn to them for new life, for new music. Two brown eyes look at me so deeply, so innocently, and inside I murmur, “This child is a song.” It is so true and direct an experience that instantly I realize again, “I am a song also.” I am back to myself once more. 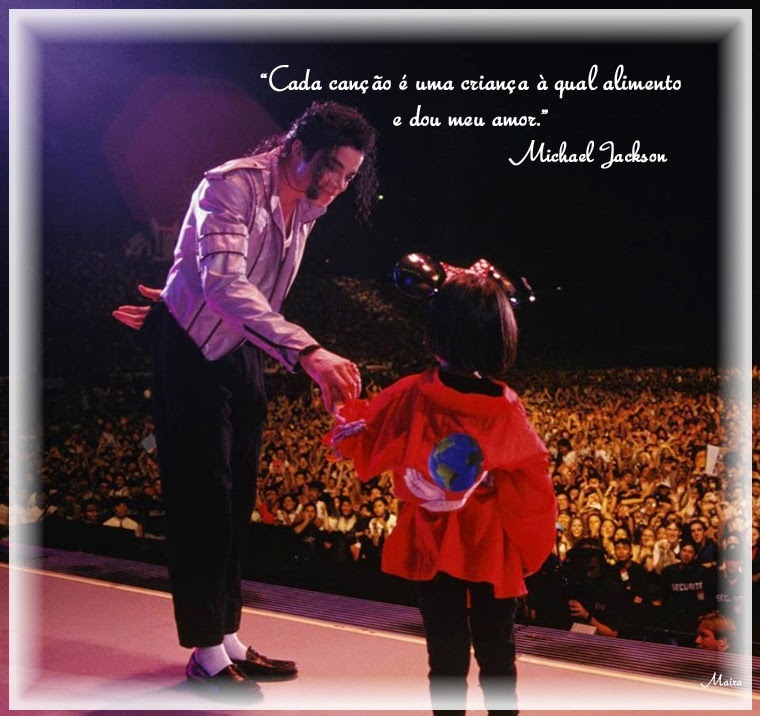 Obrigada Michael por tantas maravilhas!! 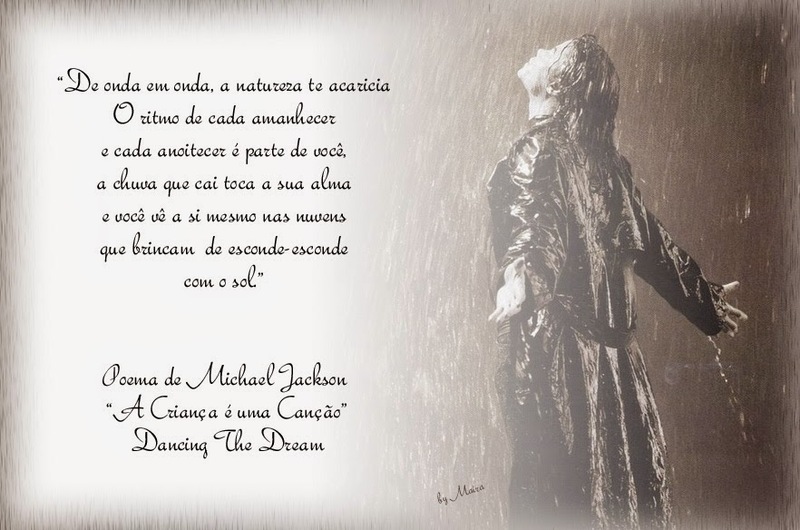 This entry was posted on 0, 19 de junho de 2015 at 4:56 pm and is filed under Cartões Michael, Livro de Poesias - Dancing The Dream - MJ, Michael para sempre. You can follow any responses to this entry through the RSS 2.0 feed. You can leave a response, or trackback from your own site.